This healthy dip is delicious with pita wedges. Both the cannellini beans and feta are salty, so no extra salt is needed. As a bonus, this dip makes a great pasta sauce. 1. Place roasted peppers, beans, oil, garlic, black pepper and feta cheese into a food processor. Cover and process until mixture is smooth. While the processor is running stream in the olive oil. 2. Spoon mixture into a serving bowl and sprinkle with the remaining cheese and parsley. If you have the time, refrigerate an hour or so for the flavors to blend. 3. 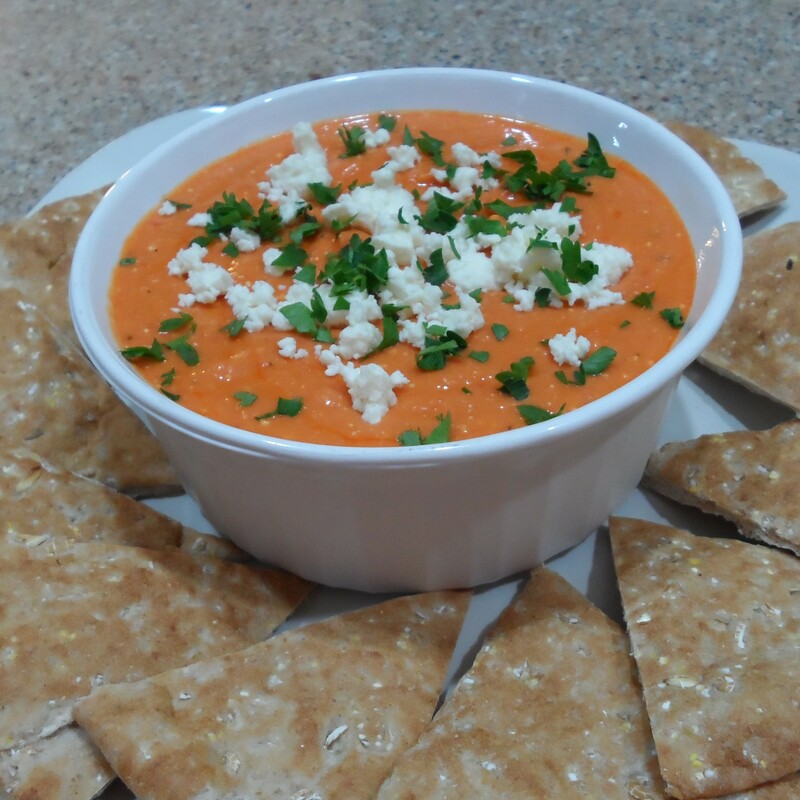 Serve with wheat crackers or warm pita wedges.